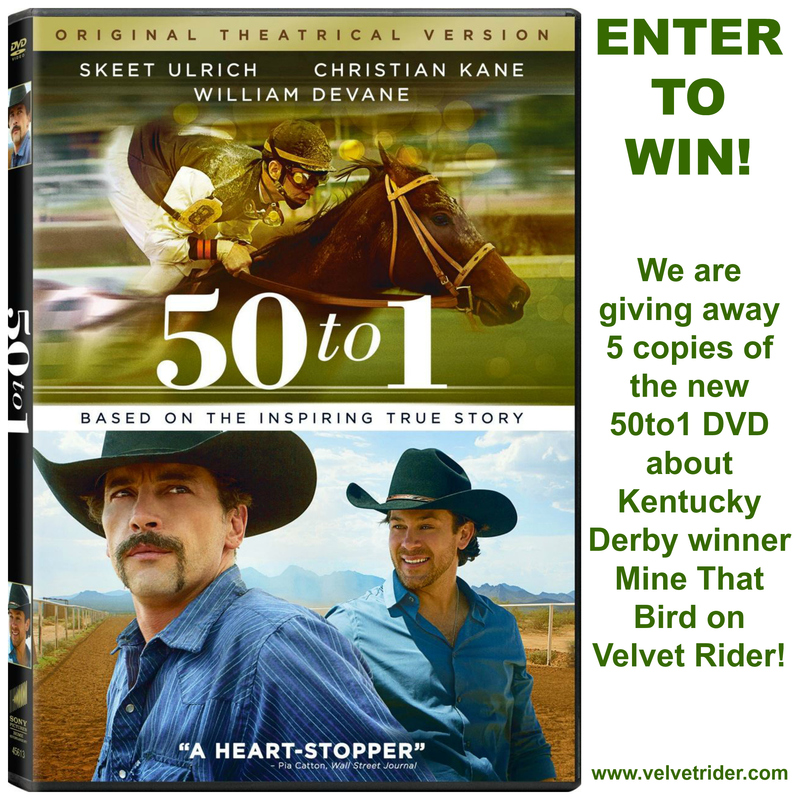 In celebration of the DVD release of the movie 50 to 1, we are giving away 5 copies to our fabulous followers! 50 to 1 is based on the inspiring true story of long shot racehorse Mine That Bird’s journey and triumph at the 2009 Kentucky Derby. Mine That Bird is owned by New Mexicans Mark Allen and Dr. Leonard Blach and was trained by Chip Woolley. There will be a review coming shortly of the movie too! The film follows the humorous adventures of a small, crooked-footed horse and his cowboy owners and trainer, who take to the highway in an unlikely bid to win America’s premier horse race, the Kentucky Derby. Misfits in the regal world of Kentucky blue bloods, these charming rascals face multiple mishaps and obstacles along the way to the winner’s circle. It sounds fantastic! And now is your chance to win a copy! Enter below! Be sure to LIKE both Facebook pages. 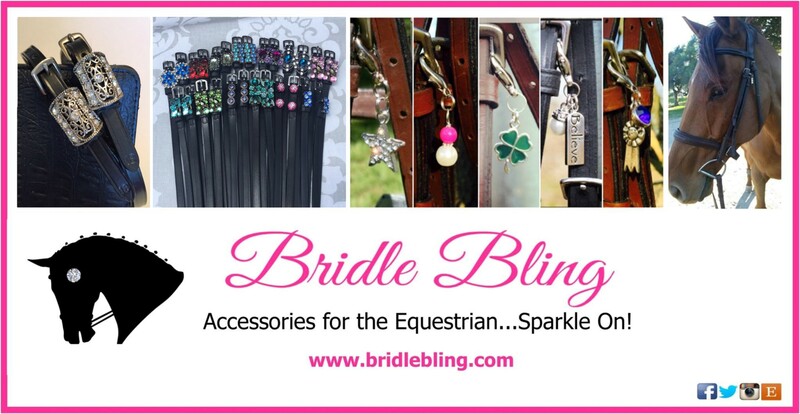 *Giveaway ends 5/8/15 at 12:00 am. Winners will be notified via email. My favorite moment? When Rachel beat Mine That Bird in the Preakness. Or when Curlin fought on to beat Street Sense in the Preakness. Or maybe Zenyatta’s Breeders Cup Classic (I was lucky enough to be there on the rail and experience a fan response like none I’ve ever witnessed). I also was lucky enough to meet Calvin and his lovely wife at the 2013 Kentucky Derby and get to watch the private preview of 50 to 1 with all of the connections and film crew. It was AMAZING. 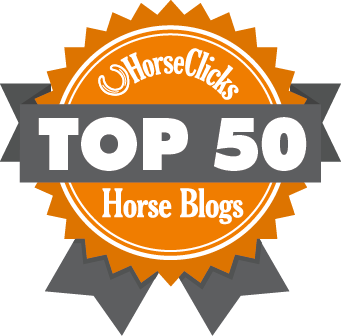 So many favorite moments…of course Secretariat’s Triple Crown races……Zenyatta beating the boys in the Breeder’ Cup. Too many to list but those are definately favorites…..!! Mine That Bird, Kentucky Derby with Calvin Borel up was definately at the top too!!!!! My favorite thing about horse racing is seeing the thrill the horses get out of running. I recently euthanized my own OTTB and looking through old pictures all of my favorites are ones of him racing across the pasture. I get chills up my spine watching videos of Secretariat’s running of the Belmont Stakes and other racing greats. I love anything to do with War Admiral and his sire line. He happens to be my horses great granddad. Horse racing movies are the best,especially underdog stories. I have always been a fan of racing and OTTBs. I loved that Seabiscuit, thought to be the underdog, beat War Admiral. It’s incredible how much heart they. This is one of my favorite horse racing movies! 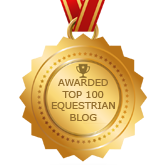 Can never have enough horse movies! LOVE this movie #50to1 Christian Kane is just awesome in it! and love that two of his songs can be heard in it as well.. SO hope to win a copy of this great #indiefilm by Jim Wilson and Faith Conroy!! Saw it in theatres three times and would love to re-watch it many more! Thanks so much for the opportunity! You don’t want to miss it… Calvin Borel playing himself.. pure genius!! My favorite moment of the moment in 50 to 1.. was when Christian Kane was in the stand at the Kentucky Derby and looked to the heaven’s and says ” Please God, just don’t let him be last” almost had me in tears! great scene.. great acting..great writing… Love it! I love a good underdog story, so Mine That Bird winning The Kentucky Derby despite the all odds is my favorite moment. I don’t have a history with Thoroughbred horse racing. It’s only since being introduced to the story of Mine That Bird and the making of ’50 to 1′ that I started to take an interest in the sport. And I watched several of the Youtube videos of the actual race back in 2009. Even though I’ve seen a lot of other horse racing movies, my favourite moment would be, when Mine That Bird crosses the finish line & it takes the commentator a moment to realize what just happened. LOL So great. And then there’s Calvin Borel after the race. So humble, so proud & honouring his parents. My favorite moment was watching Mine That Bird with the Kentucky Derby in the movie 50 to 1. My favorite moment in racing was either Zenyatta winning the Breeders Cup or California Chrome winning the derby. My favorite moment was watching the Preakness when I’ll Have Another won, and I was there to witness it all. I love the thrill of racing. All of it. 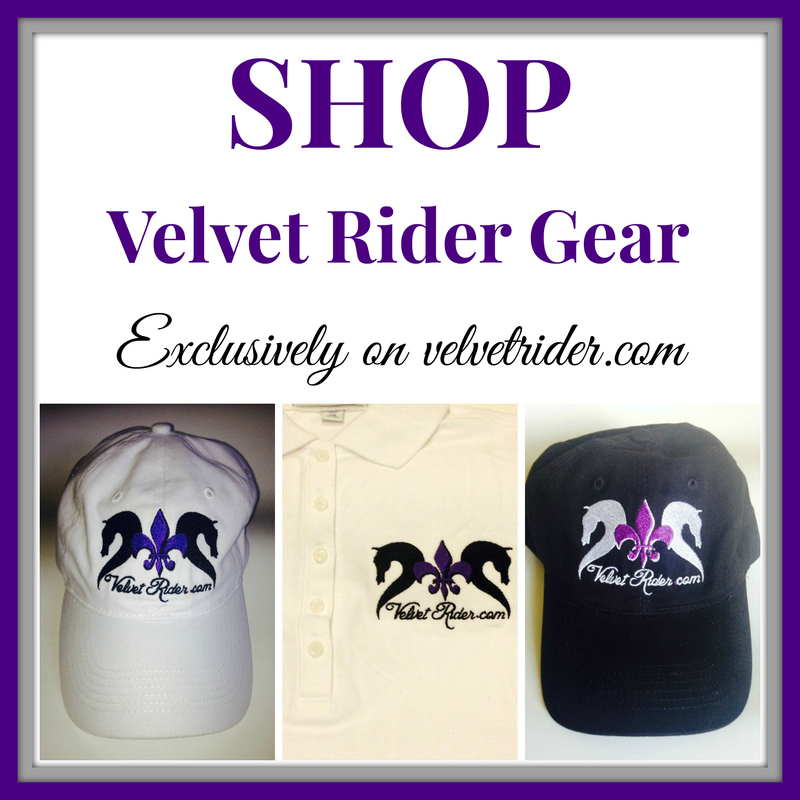 The clothes, the horses, silks, jockeys – everything!!! So much excitement. I would so love to win this and be able to see this movie. Haven’t seen it yet, but was gonna buy it for the fam! We live on a horse ranch in Texas so this would be perfect! !